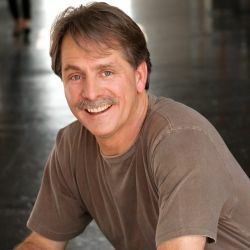 Jeff Foxworthy is one of the most respected and successful comedians in the country. He is the largest selling comedy-recording artist in history, a multiple Grammy Award nominee and best selling author of 26 books. Widely known for his redneck jokes, his act goes well beyond that to explore the humor in everyday family interactions and human nature, a style that has been compared to Mark Twain’s. A collection of Foxworthy's cartoons and paintings is located now at Stellers Gallery San Marco.